"People are unhappy with how the Jubilee government works." Says Kenyans through polls. - Bana Kenya News, Real African Network Tubanane. 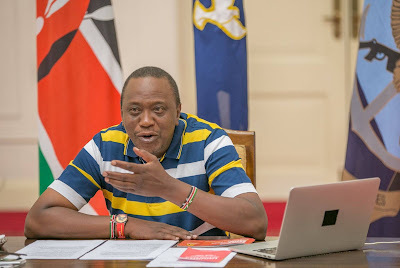 Home featured News "People are unhappy with how the Jubilee government works." Says Kenyans through polls. "People are unhappy with how the Jubilee government works." Says Kenyans through polls. The Kenyan poll companies are busy looking for percentages of who is leading and who is not. Ipsos Synovate is the leading poll company in Kenya. The results of the polls are contradicting from different poll companies. Less than half of Kenyans, 49 percent, feel that the country is headed in the wrong direction and blame President Kenyatta for the high cost of living, endemic corruption, and poor infrastructure. However, 47 percent of Kenyans believe the country is on the right path, noting the improved state of education, infrastructure, healthcare, and stability. The poll which was conducted in 31 counties and 100 constituencies shows that the two political coalitions Jubilee and NASA have equal popularity ratings at 45 percent each. According to the poll, NASA is the most popular political outfit in Nairobi County with 46 percent with the ruling Jubilee Party with 39 percent. The poll also suggests that 6 percent of the undecided voters, most of them from Western region, may determine whether the country will head to a runoff in August. The opinion poll was conducted from July 16 to July 20th this year and a total of 2,000 people were interviewed. The NASA flag bearer is leading in Nairobi of more than half percent. More than half of the people in Kenya are not satisfied with the government.